Mary Blair was an artist that worked at the Walt Disney Studios as a concept artist. She started out as a watercolorist and made wonderful watercolours. Together with her husband, Lee Blair, they joined the California School of Watercolor. In 1940 she started to work for the Walt Disney Company. She made some color designs and inspirational drawings for Dumbo, an early version of Lady and the Tramp and a sequence for Fantasia called Baby Ballet that was not used in Fantasia 2.000. The Art and Flair of Mary Blair: An Appreciation is written by John Canemaker. Canemaker has written a lot of books about Disney animation. This book is a perfect mix of the personal life of Mary Blair and her professional life. The book has a lot of inspiring images and shows the pure mastery of Blair. The first print run was sold out and is now published by Disney Editions. 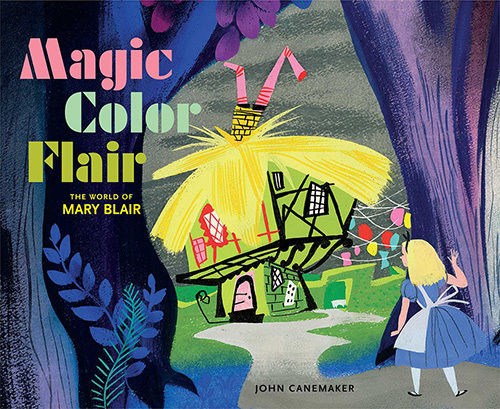 This book was published as a catalogue for the exhibition of Mary Blair’s work at the Walt Disney Family Museum in San Fransisco in 2014. 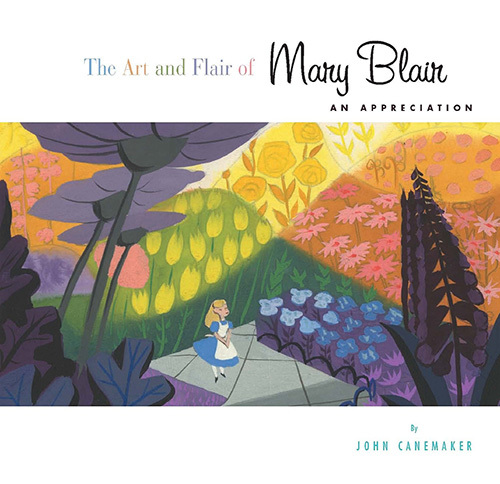 John Canemaker wrote an essay about Mary Blair that is also in the book. The book is very well printed and shows additional images that have not been published before. Canemaker goes into a lot more detail about the style and design of Blair.